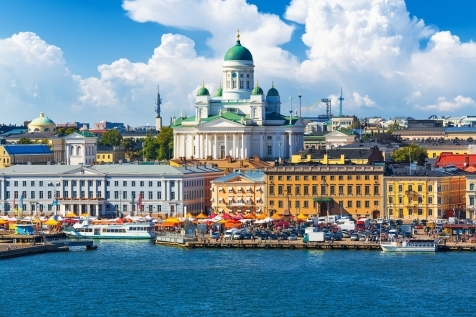 Fly to Helsinki and self -transfer to your chosen hotel. We recommend the Sokos Hotel Torni, whose colourful history has come about as a result of being one of the longest operating hotels in the city. Rooms incorporate original features such as tile stoves and Victorian style baths and its location makes it an ideal option for exploring the capital. The remainder of your day is at leisure. 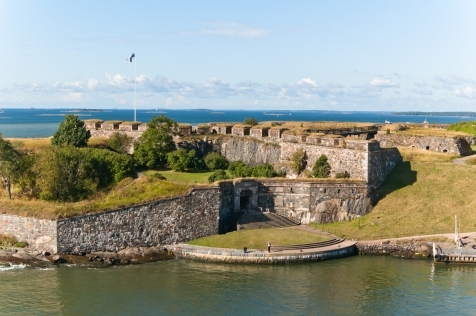 Helsinki offers a remarkable array of experiences, which pay homage to its strategic location connecting East with West and reflects periods of Swedish and Russian rule. This is illustrated in the outstanding museums and culinary experiences on your doorstep. Senate Square and the Cathedral, the Market Square and Hall as well as Suomenlinna Sea Fortress are must do’s. After breakfast, collect your hire car. You will quickly leave the city behind. We suggest a stop at Porvoo to admire its quirky buildings, rich coloured houses and cobbled streets, and maybe indulge in a ‘Runeberg Tortes’, a Finnish pastry flavoured with almonds, rum and jam. Continue on to Lappeenranta, which will be your base for the next two nights. Located on the banks of Lake Saimaa, Finland’s largest lake, Lappeenranta is a further display of an eclectic mix of Russian and Swedish architecture. Established as a major trading port in the 17th century, the Fortress and Spa still endure today, as does the wooden City Hall. Enjoy a leisurely breakfast before checking out and heading for Savonlinna, an unhurried 2½ hour drive away. Halfway along your journey we recommend stopping at Puumala for lunch. This popular and lively harbour town was recently chosen as one of the most beautiful districts in Saimaa and is a haven for holiday makers, who come to enjoy the sparkling blue waters and cluster of 1000 islands. The Puumalansalmi Bridge and tower offers fantastic views over the surrounding country-side. Rejoin the scenic road of Savo, part of the Green Gold Culture Road and enjoy the stunning views as you head towards Savonlinna. On arrival, check in to the Original Sokos Hotel Seurahoune for the next 2 nights. Then familiarise yourself with one of Finland’s prettiest towns. 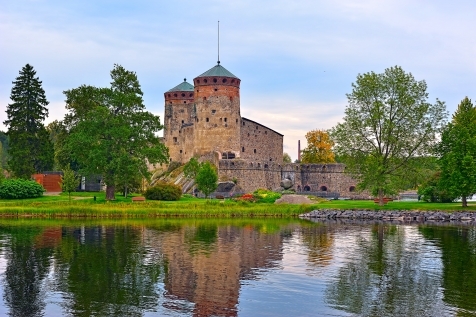 The foundations for Savolinna were laid in 1475, with the building of the visually stunning Olavinlinna Castle and the town continues to be a centre for culture, gleefully hosting the hugely popular Savonlinna Opera Festival. A guided tour of the castle is must, as is a stroll down Linnankatu street to view the heritage wooden houses. 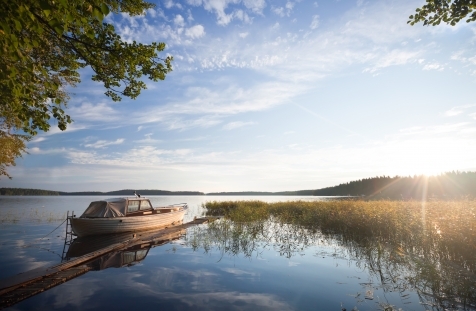 Cruise on Lake Saimaa on a traditional lake steamer or seek out one of the countless tiny beaches on which to enjoy a picnic. Your Finnish Lakeland self-drive continues on to Hirvensalmi. This unhurried drive allows plenty of time to enjoy a stop at Rapio Mill, Kenkävero Old Vicarage and savour a spot of lunch at Tertti Manor, a working farm and gourmet heaven. The following two nights are at Hotel Satulinna, a fabulous manor hotel on the shores of the Urmaslahti Bay. Here you can relax in the smoke sauna and dip in the refreshing waters of the lake. 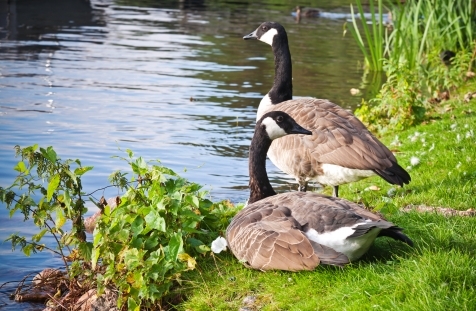 The more active can canoe or row, hike or try a spot of fishing. The surrounding area offers sights such as the Päämajamuseo, a World War II Army HQ in Mikkeli or the national shrine,Astuvansalmi, one of the biggest rock painting sites in the Nordic countries. After the peace and tranquility of the last two days, it is time to reconnect to the world, albeit somewhat refreshed and rejunvinated. Drive to Helsinki Vantaa airport (just 2 hrs away) and drop off your hire car in time for your return flight back to the UK. * Your travel dates may determine operation of this tour.